The Catherine Lalonde Memorial scholarship is awarded to graduate students who demonstrate excellence in their studies of structural wood or wood design. The Canadian Wood Council invites submissions from graduate students in engineering, architecture, wood science and forestry programs, whose wood research transcends the same level of passion that Catherine Lalonde championed relentlessly for the wood/wood products industry. The submissions must demonstrate the direct benefit of structural products manufactured by the Canadian forest products industry. Catherine, a professional engineer, was a passionate representative of our industry who relentlessly championed the use of wood in residential and commercial construction. 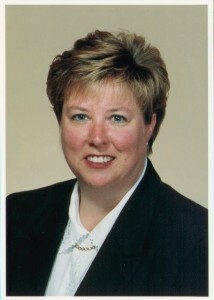 She was President of the Canadian Wood Council, when sadly she lost her battle with cancer. This award was created to honour Catherine’s memory and to perpetuate the legacy she left to the Canadian wood products industry. 2018 Catherine Lalonde Memorial Scholarship Recipients.